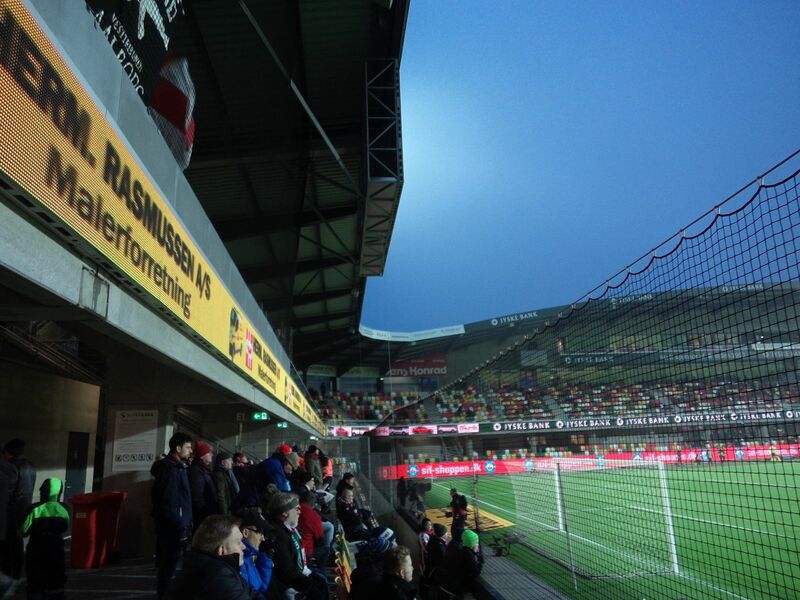 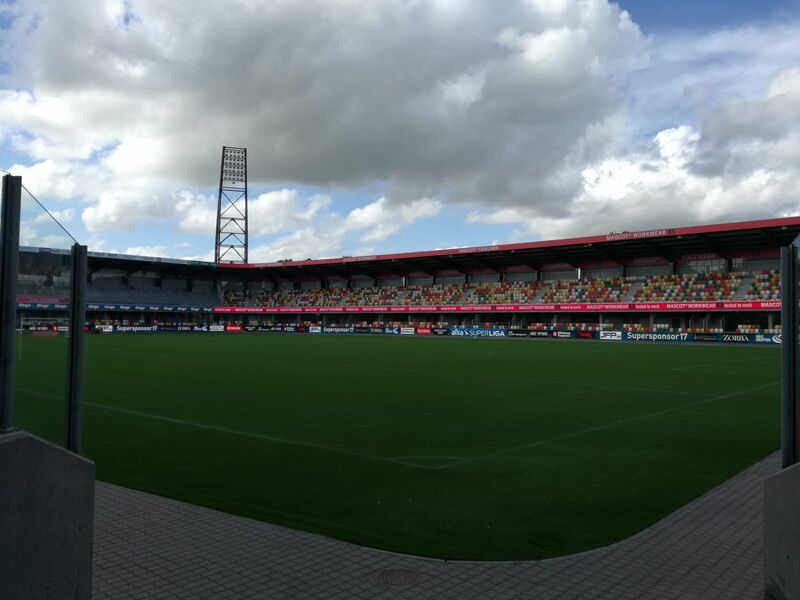 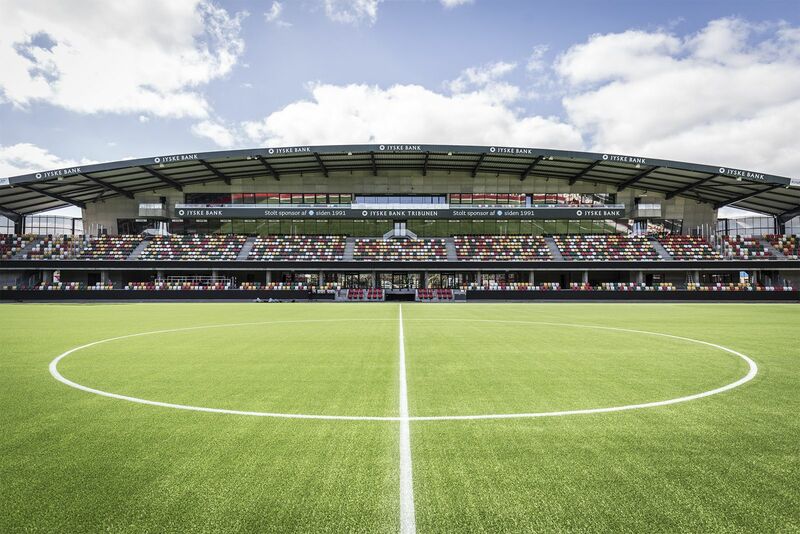 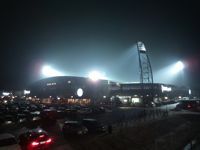 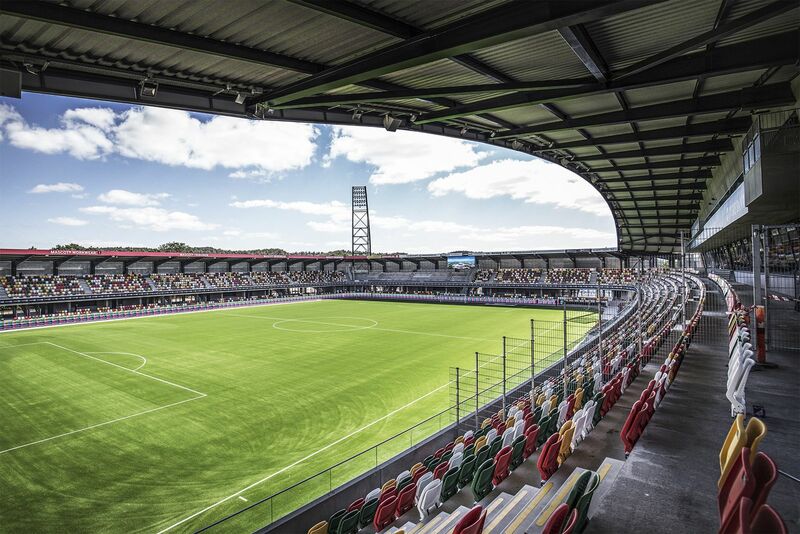 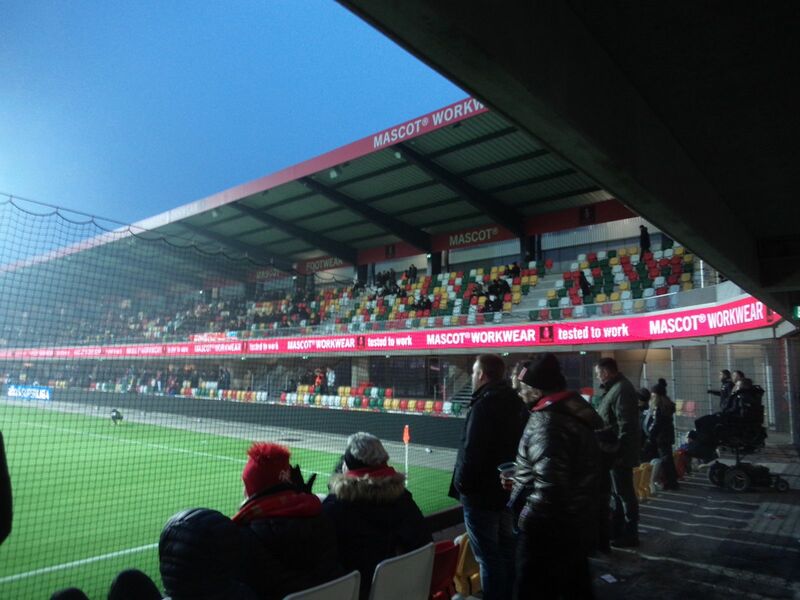 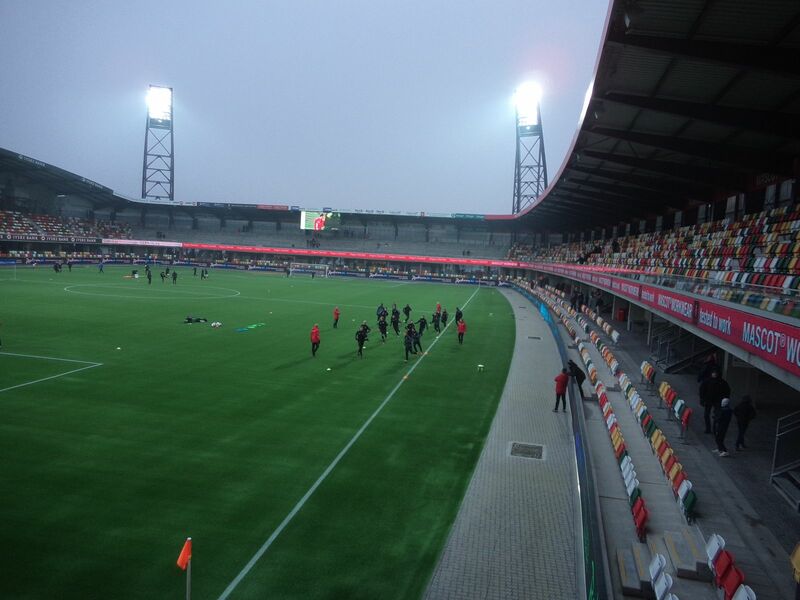 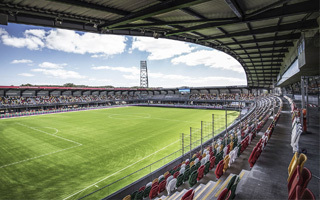 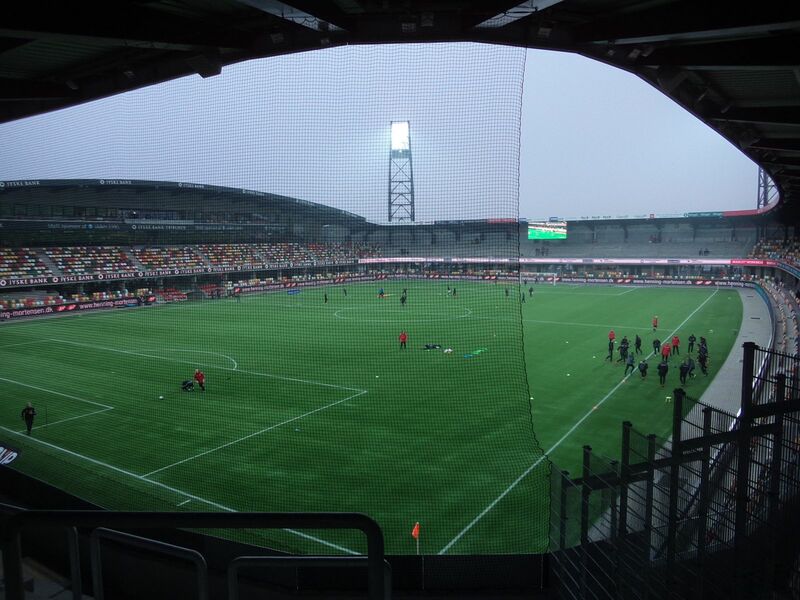 New stadium in Silkeborg is a joint project of the municipality and Silkeborg IF, through subsidiary Silkeborg Invest. Initially both participants were to contribute equally DKK 60 million each, however the budget grew by 10 million, covered by the private partner. 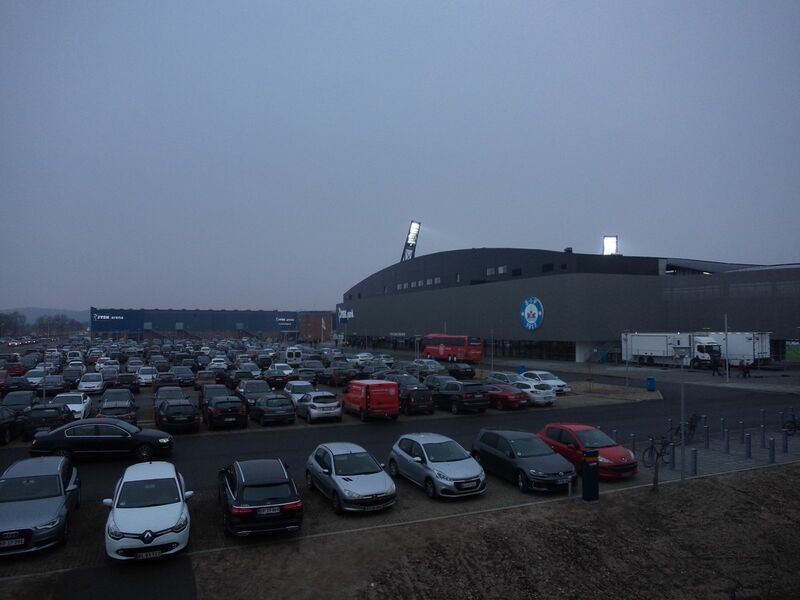 The stadium was built next to brand new highway and beside already existing JYSK Arena. 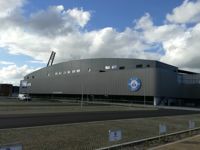 Its architecture was created to fit the other large venue. Thus the neutral and simple colours and shapes, practical and minimalistic. 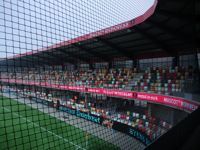 Inside the story is completely different as seats create a bright mosaic of four colours. 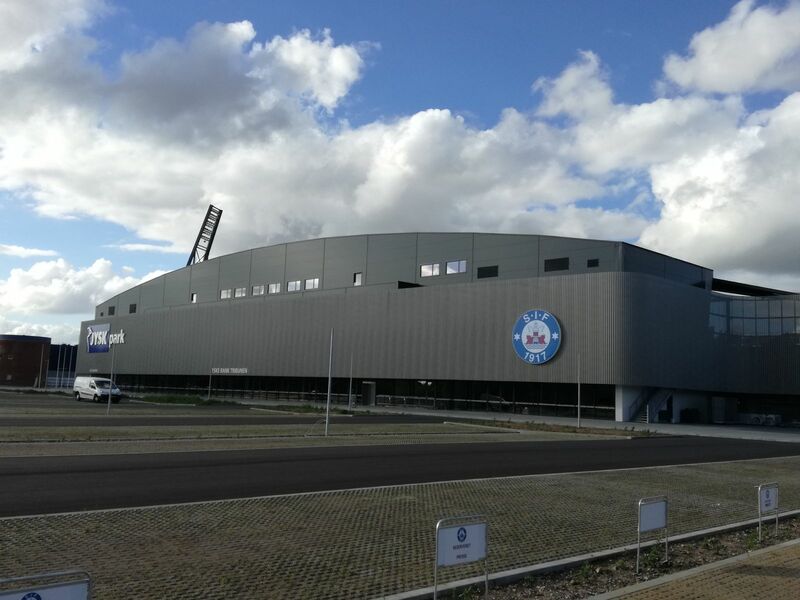 Auditorium has a peculiar shape. 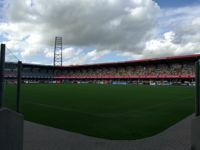 Though the stadium holds only 10,000 people (even including 4,000 terraced in the north and away section), stands are divided into two continuous tiers. 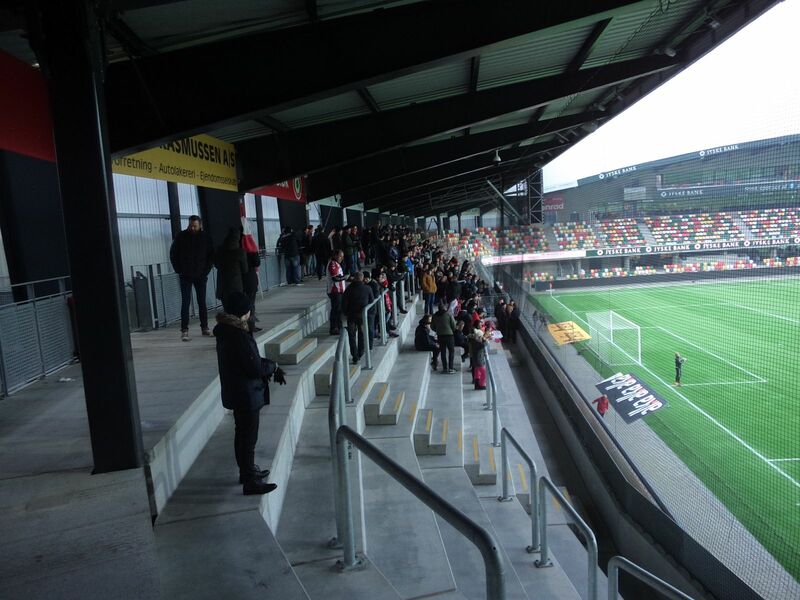 Lower one, slightly below ground level, offers only 3 rows of seating, while the upper one adds further 8. 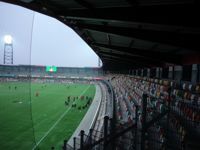 Longitudinal stands are also curved, which means most fans don't only enjoy a perfect view of the field, but also an overview of the auditorium. 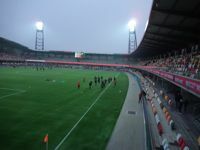 In terms of infrastructure, almost all facilities are focused around the west end, traditionally. 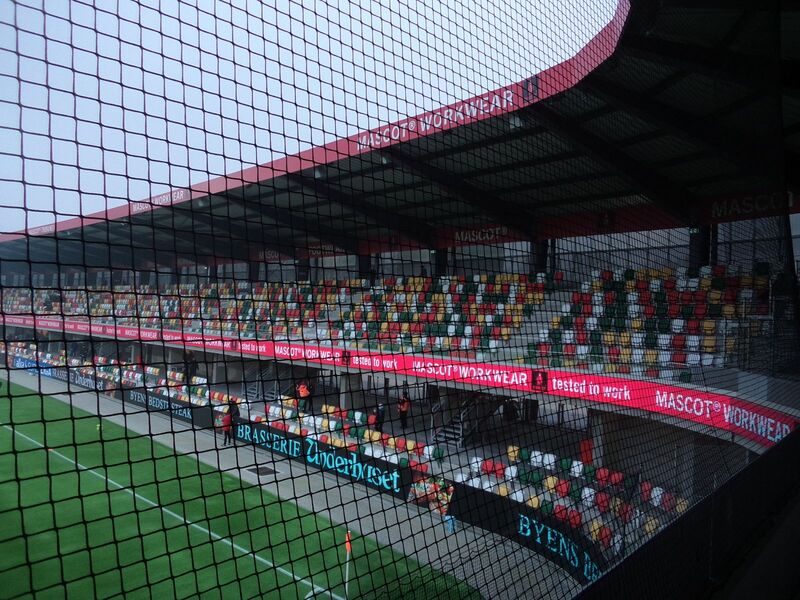 Here, spread across 5 levels, the club offices, corporate hospitality, press and players zones were created. 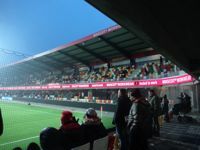 Regular fans can enter the club shop and cafe in the northern part of the stand.